Our monthly newsletter includes a ton of information which is not available anywhere else – you should really subscribe to it. Here’s the January 2016 edition. Talk & Play #17 is going to take place on Wednesday, February 10th at the Game Science Center, and this time we’re going to try something new: instead of a couple of medium-sized talks, we’re going to have several short talks, around 5 minutes each. Confirmed speakers so far include Chris Ward, Christiane Hütter, Maximilian Kiese, Sebastián Uribe, Sonia Fizek and Stephan Hövelbrinks. There will also be games to play, presented by their creators (fill this form to be part of it), and plenty of nice people to chat with. Due to limited seating capacity, RSVP via Meetup is mandatory to attend the talks: registrations open today at 2pm. Access to the event for the game showcase part from 9pm doesn’t require any registration. The event is free to attend. Hero Defense – Haunted Island by Happy Tuesday (pictured above) has just been released on Steam. 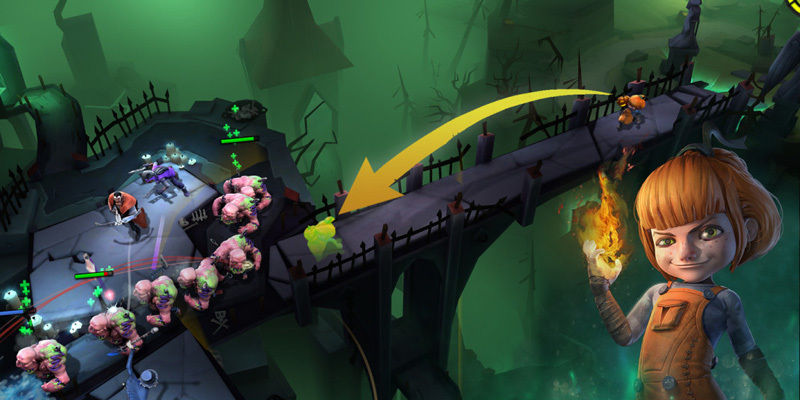 Fans of MOBAs, RPGs and tower defense games might want to check it out. 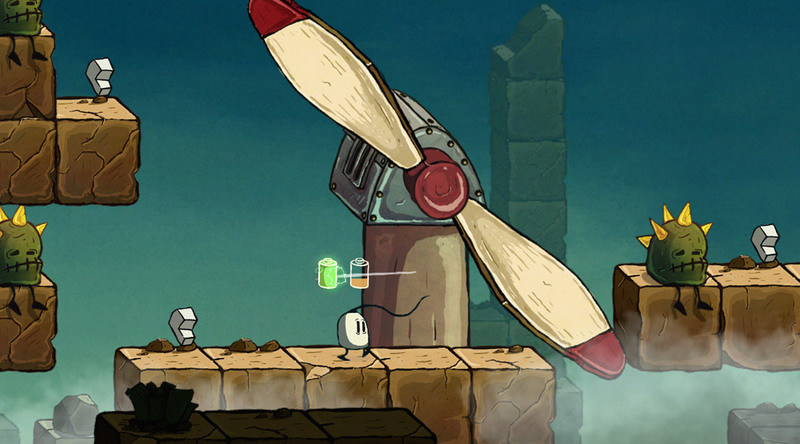 While working on their next major project, Black Pants Studio found the time to release a new mobile game: Blown Away. Beautiful and unique art style, like all their other releases (see screenshot at the top of this post). Creepy by David Zobrist doesn’t look that creepy. Family Dinner by Outlands is short shooter made and released for Christmas: if you missed it while on holiday, you can still play it now. 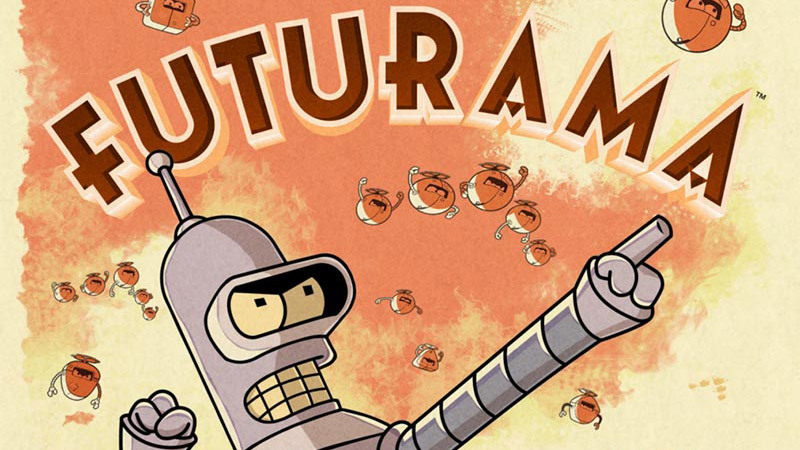 Wooga is working on a Futurama mobile game. It soft launched in Canada, so you can already find some gameplay videos to get an idea of what it’s going to be like. Two Into Indie is a new Let’s Play channel dedicated to indie games. One of the two hosts is Jenni Wergin, who also works on Game <3 Cinema. C418 released a new album titled 148 – confusing, I know. But it sounds good. If you’re more in the mood for a podcast, I recommend listening to the Source Code Berlin episode dedicated to the Free Knowledge Game Jam that Wikimedia Deutschland organised last year. Submissions for the Code Week Award are open until the end of January, so if you’ve got an idea in mind for a tech workshop aimed at children and young people, be quick!